Due to long time employees and the firm owners the company can look back on a long and substantial experience in pump business. Although the name JESSBERGER exists as a firm name in drum pump business only since beginning 2003 the company has developed within a short time to a real alternative. The intention was to set new standards in price at coexisting highest quality – what was succeeded impressively. Since March 2008 the pump manufacturer has its new head office in Ottobrunn. More than 500 sqm production/stock and 400 sqm office will ensure a further sustained economic growth and the possibility to fulfill special customers’ requests. The construction and production of the eccentric screw pumps occurs at a second facility in Upper Bavaria. is a result of a personal, expert advice through our employees, a maximum flexibility in all areas of the company and a direct contact to the customers. The company owners have set themselves the goal of having a very close and personal contact to their customers – not only by exhibiting on many trade shows each year. Furthermore they want to demonstrate their flexibility that is based on a clear arranged company structure at delivery times and special customers’ requests. Qualified partners in Germany, Europe and all over the world complete this concept and guarantee a nearly optimized customer support. The company leadership and the technical management attach the greatest importance to a strict quality control. The complete production and assembling area is organized in accordance to the quality management system DIN EN ISO 9001:2008 and for the stainless steel pump tubes, the electric ex-motor JP-400, the air driven motors JP-AIR 1, JP-AIR 2 and JP-AIR 3 and some eccentric screw pumps in accordance to ATEX 2014/34/EC (explosion prevention and protection). 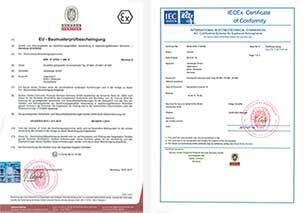 Annual external and internal inspection audits assure the compliance with these regulations and ensure the high quality standards. This pronounced awareness of quality and the experience for decades in drum pump business guarantee a high quality of the pumps at a very attractive price. In summer 2013, the company again invested in quality assurance and implemented two new pump test stands for the final inspection of drum pumps and the testing of centrifugal pumps and air operated pumps. 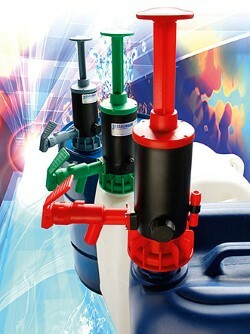 When testing the drum pumps or other industrial pumps that we produce or repair, all parameters relevant for the test process (eg current consumption, speed, torque, real-time sound, temperature, delivery pressure, flow measurement) are measured for each individual pump via sensors and a 16-channel USB measuring system, etc. are automatically measured and stored in digital form. Convince yourself of the advantages of the family business JESSBERGER and the quality made in Germany. For pumps demand or other questions please call us on phone number 089/66 66 33 400 or send us an e-mail to info@jesspumpen.de. Our qualified sales staff as well as the company owners, Dr. Kurt and Tobias Jessberger, are available to you personally at any time.